Seared Steak & Seafood takes pride in the fact that they only used the freshest ingredients from markets, farms, and vendors in Sonoma County. Each dish is prepared with care as they incorporate farm fresh veggies, grains, herbs, and meats such as fish, beef, pork, and much more. Seared Steak & Seafood strives to make sure its guests have the best dining experience as well as the highest quality food possible. The menu for Seared Steak & Seafood changes seasonally as certain menu items become no longer available, but they make do with what they have and have their best chefs create it into a culinary masterpiece. Some of the items available on their dinner menu are the Shrimp & Grits, the Housemade Ricotta Gnocchi, Surf & Turf, and many more delicious options. Their drink menu not only includes draft beers, classic cocktails, and restaurant favorites, but they also sell their wines by the glass and even have a category that specifies which drinks are non-alcoholic. Seared Steak & Seafood is open every Monday through Thursday from 4:00 pm until 9:00 pm, every Friday and Saturday from 4:00 pm until 10:00 pm, and every Sunday from 4:30 pm until 9:00 pm. Their happy hours are from 4:00 pm until 6:00 pm every day, where they serve a number of different cocktails, draft beers, and wines. During happy hour, Seared Steak & Seafood also serves side dishes to enjoy with your drink, such as mac and cheese, tacos, hand-cut french fries, calamari, and more. Barber Cellars Vineyard has been open since early 2005. The owners, Michael and Lorraine Barber, decided to start up the winery and made sure that they were well educated on the product they intended to sell to the public. Michael sought out advice from well-known local vineyards and gained more and more knowledge on winemaking each day as a result of reading UC Davis books about commercial winemaking. Barber Cellars creates several different kinds of wines, such as Zinfandels, Pinot Gris, Cabernet Sauvignon, Chardonnays, and more. Barber Cellars Vineyard also makes their own brand of whiskey that is called “Barber’s Single Malt Rye Whiskey.” With a dense and unique flavoring, the whiskey was created due to Michael’s Southern roots giving him a deep-set love for the drink. Within each batch, tasters are able to recognize hints of caramel, cloves, and pepper spice. Malt rye whiskeys are some of the most difficult types of whiskey to make because of all the ingredients that go into making it as well as the length of the fermentation process that it must go through, but the Barber’s aren’t known for taking the easy way, so they take the time to create this uncommon but delicious batch of whiskey by hand. The wine tasting room for Barber Cellars can also be found within the gorgeous Hotel Petaluma which is located off of Kentucky Street. This tasting room is the first of its kind that is stationed within downtown Petaluma. Along with their exquisite wines, they also offer cheese samples for guests partaking in the wine tasting, and they display artwork from artists that are from around the area. Barber Cellars encourages everyone to become a part of their wine club. There are several different levels of membership that you can sign up for, such as the Three Bottle Club, the Six Bottle Club, and the Twelve Bottle Club. When you sign up for the wine club, you will be sent a shipment of wine every three months. Discounts are offered for each of the different levels of membership; 15% off of the Three Bottle Club, 22% for the Six Bottle Club, and 26% for the Twelve Bottle Club. With each of these memberships though, you will need to pay for each shipment that you receive. It costs $85 per shipment for the Three Bottle Club, $140 per shipment for the Six Bottle Club, and $265 for the Twelve Bottle Club. Only a city block away from Seared Steak & Seafood is Hotel Petaluma. 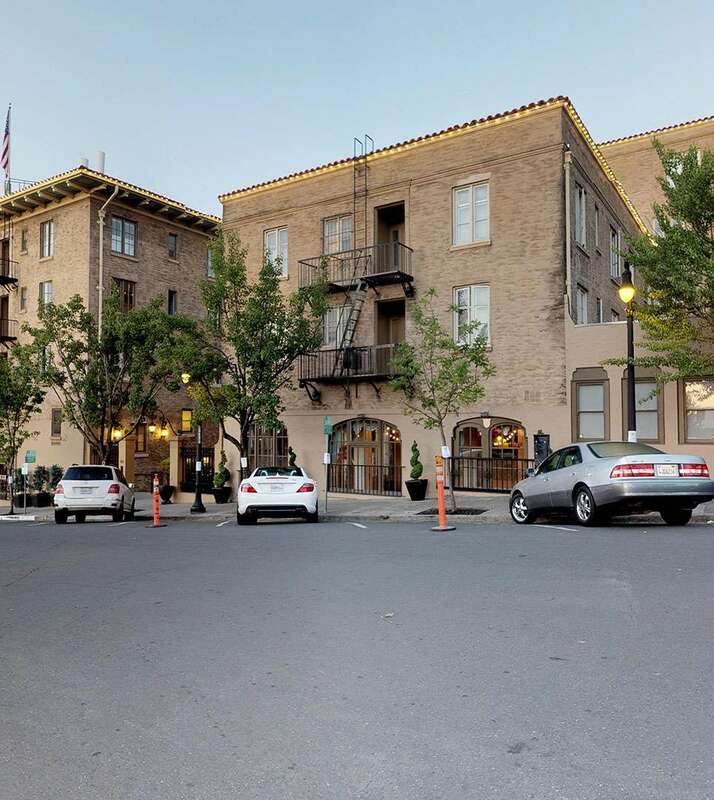 Built with stylish and pet-friendly rooms that were designed for your relaxation, Hotel Petaluma is the best place to stay at while on vacation. Hotel Petaluma has several guest features that are sure to draw you in; such as a wine tasting room that is tied to Barber Cellars Vineyard, 24-hour coffee and tea provided at the front deskBook your stay at Hotel Petaluma today and find the best rates.